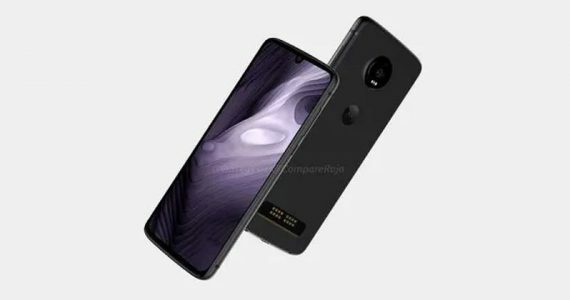 The ASUS ZenFone Max Pro M2 has been making its rounds on the rumour mill for quite awhile, and was even revealed prematurely by the company’s Russian site. 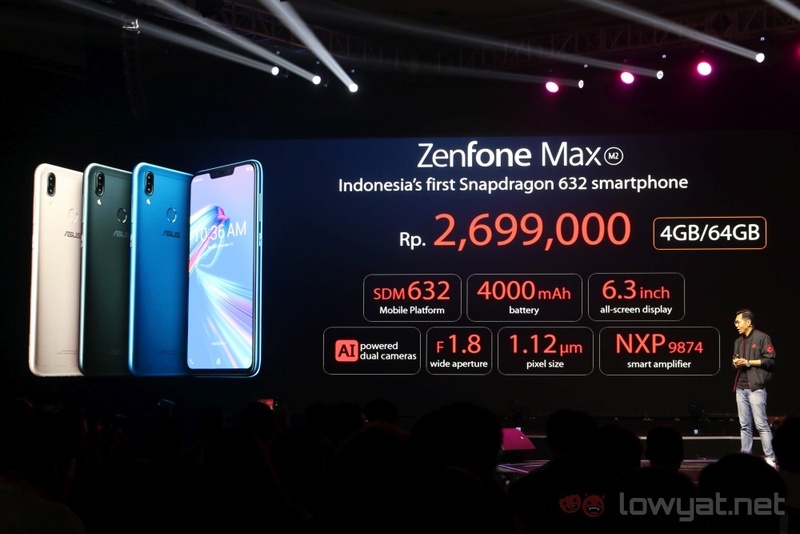 Now, the company has officially revealed the phone, alongside the ZenFone Max M2. 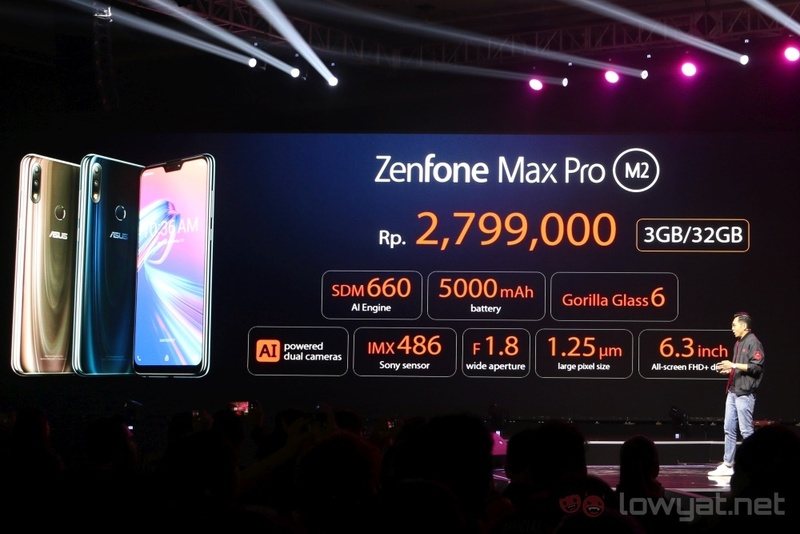 Starting with the ZenFone Max Pro M2, we now know for sure that it will come with the Qualcomm Snapdragon 660 SoC, a 6.3-inch Full HD+ notched display, a 12MP + 5MP rear camera setup, a 13MP front-facing camera, and a 5000mAh battery. 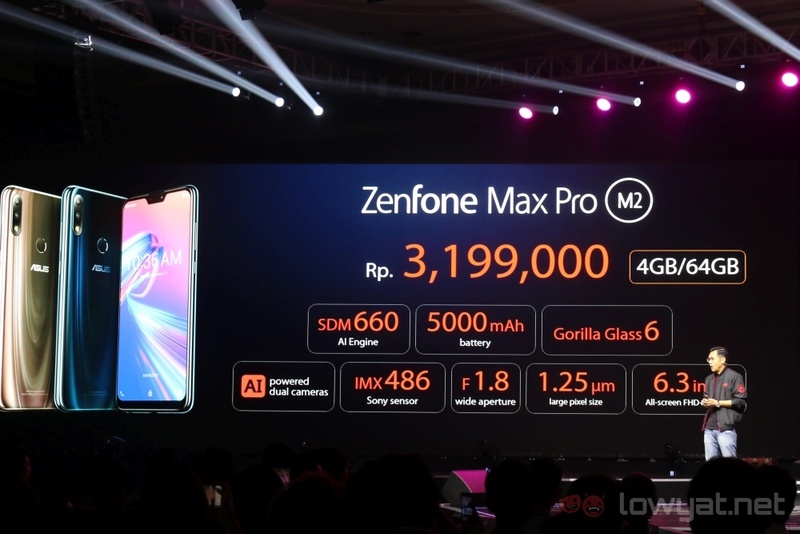 For lovers of plain, stock Android, you’ll be glad to know that the ZenFone Max Pro M2 comes with stock Android 8.1 Oreo, with Android 9 Pie slated to arrive for the phone in early 2019. 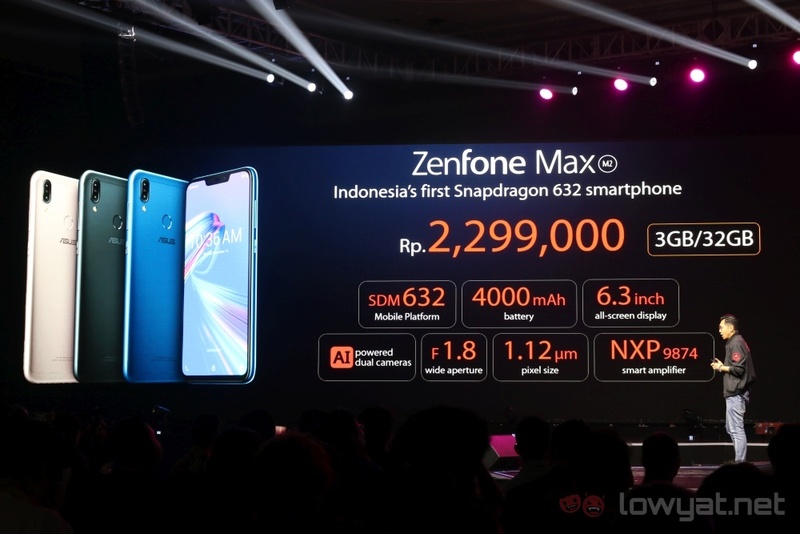 Moving on to the ZenFone Max M2, the phone comes with a 6.3- inch display as well, but only with HD+ resolution. 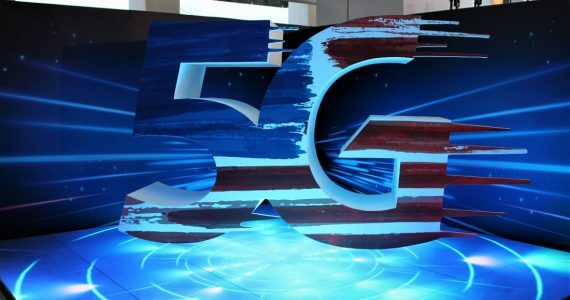 Moreover, it comes with a Qualcomm Snapdragon 632 chipset, a 13MP + 2MP rear camera combo, and an 8MP front-facing camera. As for the battery, it’s rated at 4000mAh. It will also be running stock Android 8.1 Oreo out of the box. 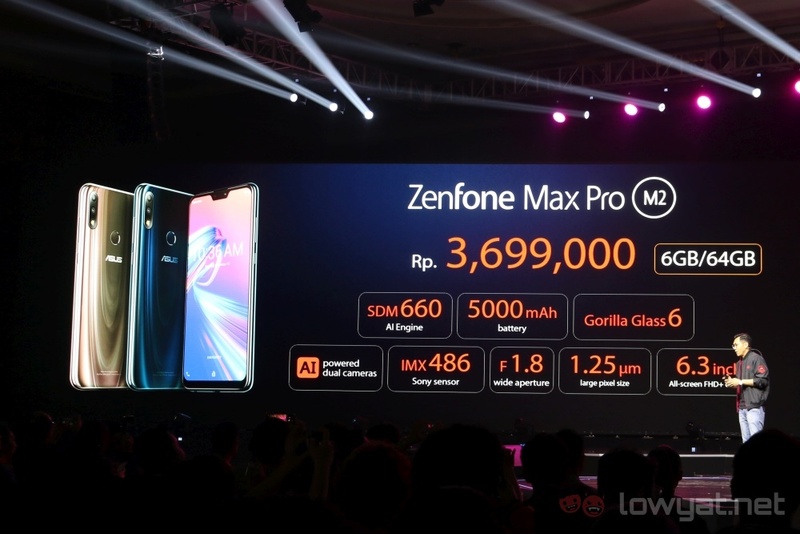 The ASUS ZenFone Max Pro M2 comes in three configurations. The first one, the 3GB RAM + 32GB storage model, is priced at IDR2799000 (~RM799). The 4GB RAM + 64GB storage model, meanwhile, costs IDR3199000 (~RM914), while the 6GB RAM + 64GB storage option costs IDR3699000 (~RM1056). As for colour options, you have two – Midnight Blue and Cosmic Titanium. 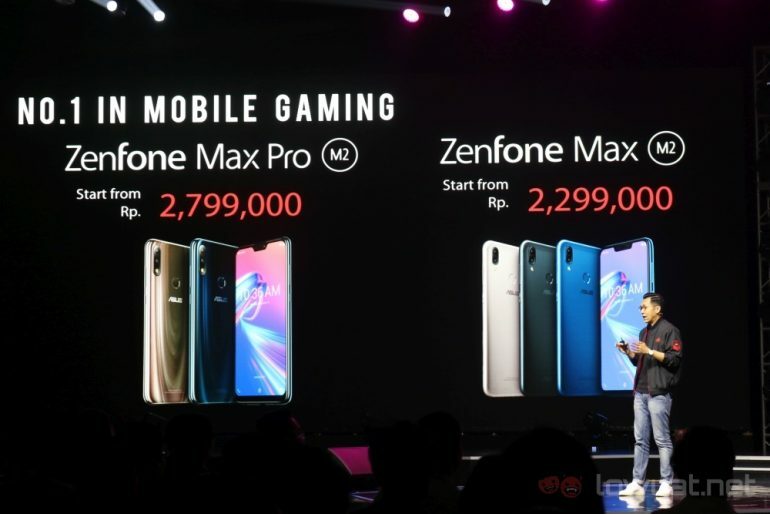 As for the ASUS ZenFone Max M2, there are two variants. One has 3GB of RAM and 32GB of storage, which costs IDR2299000 (~RM657). The other comes with 4GB of RAM, 64GB of storage space, and a price tag of IDR2699000 (~RM771).